More hunt and stalk in the outback is either going to thrill you or bore you to tears. 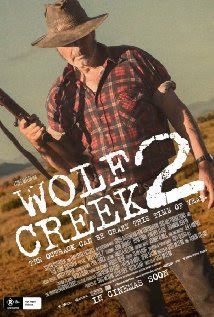 Frankly what annoys me about the Wolf Creek films is that they are so well made the fact that they are essentially a version of slasher films makes them less than they are. If only they had actually give us real characters and more of a plot than a crazed mad man hunts kids. I know people eat this sort of thing up but after all these years I find I need more than good filmmaking to make my heart go pitter pat. Uwe Boll turd ball looks good, has some great moments, but is so lacking in passion that it will put you to sleep. More two films than one, the film has Dominic Purcell playing a hitman who wants out. After kidnapping two young girls he is sent back in time and becomes a crusader for truth justice and the rights of the downtrodden. Or something. Boasting some really good Dragon effects and some good fight scenes the film somehow never manages to catch fire. I was bored for the most part. While I have taken brickbats for liking some of Uwe Boll’s films (including the first In the Name of the King film) and I do think he can make a good movie if he wants to (Tunnel Rats anyone?) the last bunch of years he has been simply turning out uncaring crap. All the passion that made me like his films is gone. He still can be technically proficient, but the stories are dull and the performances are allowed to be walk throughs for a paycheck making the films a chore to get through. Boll can do better. 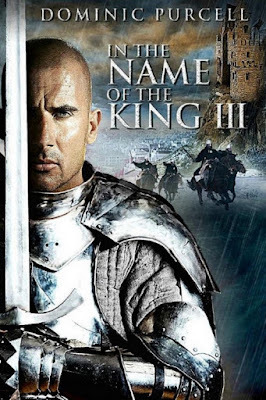 While In the Name of the King 3 isn't a complete turkey its really dull. 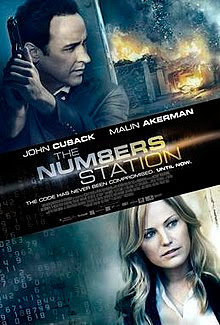 Disgraced secret agent is sent off to watch over a code expert at a number station (a radio station that sends out numbers as coded instructions). When the station is compromised the agent and the expert must fight for their lives. Okay thriller starts off gangbusters but slides into a kind of boredom as they have to wait for rescue. and what was an action thriller becomes slow burn thriller. Its not a bad film, but the shift from action to talk takes the edge off everything.